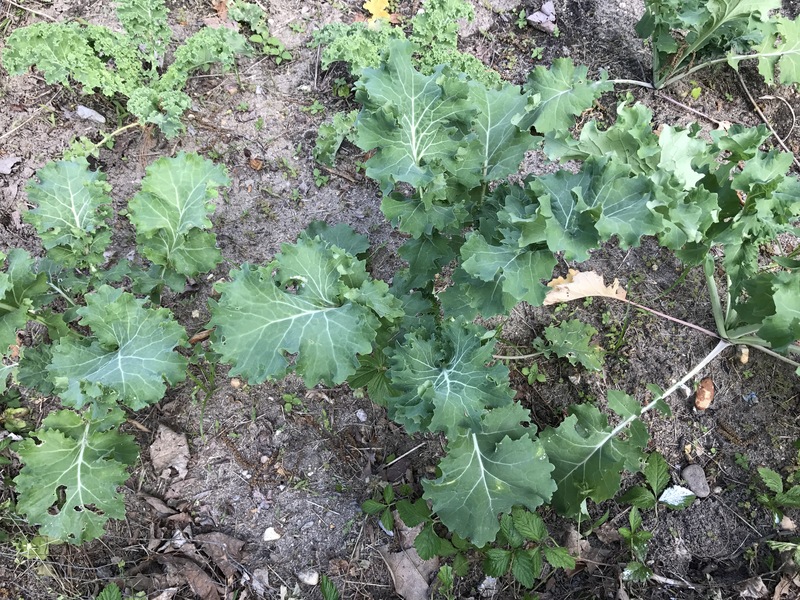 The kale in my garden is ready for first harvest! As you can see I am growing two different types of kale, curly and siberian. The curly kale is still small, but the siberian has grown more quickly. 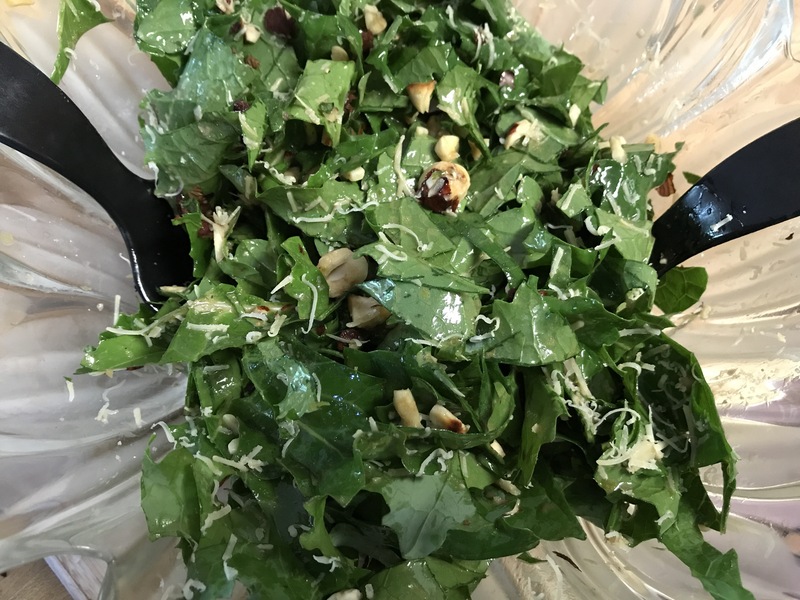 I harvested enough to make a flavorful Caesar-type salad to have with our lasagna. The flavor was rich, with a nice little kick from the touch of sriracha in the dressing. The roasted hazelnuts added textural interest. Definitely another “keeper” recipe from the Monday Morning Cooking Clubs “It’s always about the food”! She includes anchovies, which I have omitted, but if you like anchovies, feel free to go ahead and add them back in. Make the dressing – whisk together the egg yolk, Worcestershire, sriracha, lime zest and juice, vinegar garlic, pepper and grated cheese. Continue to whisk and slowly drizzlein the olive oil until fully emulsified. Season to taste with salt and pepper. Remove the large stalks from the kale and discard. Chop the kale and place in a large bowl. Toss with the dressing to coat lightly. Toss in the hazelnuts and cheese. 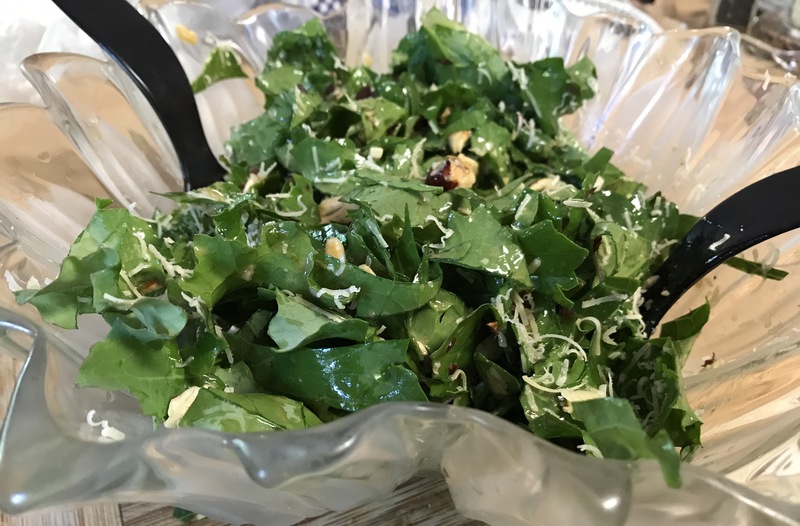 If you use shaved cheese, you can add it on top of the salad as you serve it. 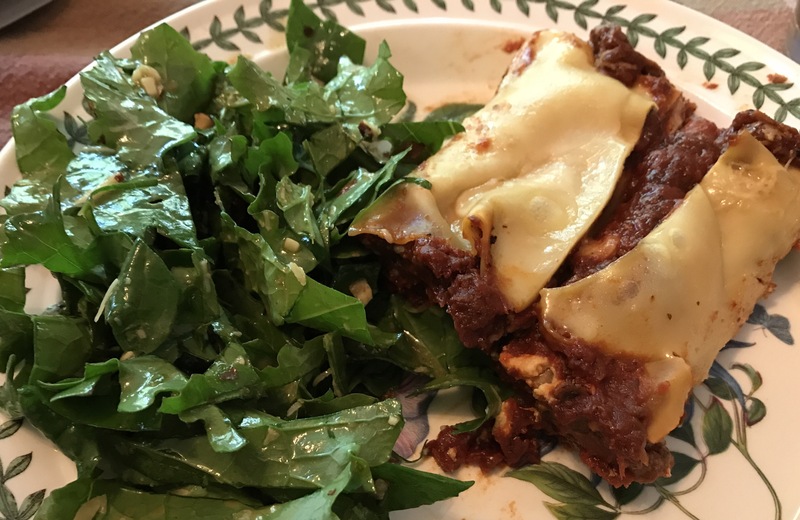 Serves 4 – 8 as a side dish (depending upon how much salad you like to eat).